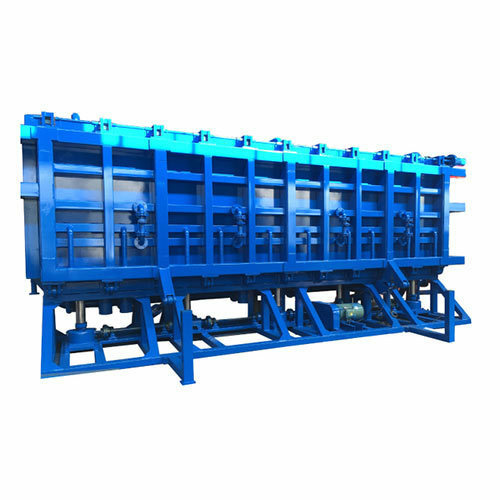 With our expertise and trustworthiness, we are engaged in offering an optimum quality range of EPS Block Molding Machine. Incepted in the year 2010 at Faridabad (Haryana, India), we “Jay Deep Engineering Works” are a Partnership firm that is an affluent manufacturer of a wide array of EPS Machine, Ejector Bush and Thermocol Mould. We manufacture these products as per the latest market trends and deliver these at client's premises within the scheduled time frame. We have also selected a team of devoted and capable professionals who helped us to run the operation in a systematic and planned manner. Under the supervision of “Mr. Jai Kishor" (Partner), we have gained huge success in this field.